A good logo is at the core of a company’s imposing visual identity and successful branding. It may not sell a business by itself, but it does set the tone for all the business’ visual communications. Logo design is significant because it represents a business and its values. It is what makes your brand recognizable and unforgettable. So, having a well-designed logo is crucial for enhancing your Bothell business’ bottom line. iLocal, Inc. offers professional and affordable services to design logo that is attractive, relevant, meaningful and a perfect identification of your business. 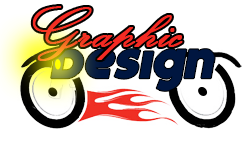 Our logo designer makes sure that your logo has the essence of your company distilled into it. It gives your brand a unique identity and also helps reinforce that identity throughout the life of your business. Many things in life are easy to change. Logos are not one of them. Logos, once established, are expected to serve the businesses they represent for years to come. Changing them would defeat their very purpose, that of establishing an unforgettable and lasting connection with the target audience. Still, there are times when a revised logo design is required. It is necessary when your logo has not been very effective or when you want to enthuse your brand with freshness and verve. If you believe that your logo is not fully successful in getting your business recognized and imprinted in your niche audience’ memory, come to iLocal, Inc. logo designer. Whether you want to get your existing logo tweaked and modified, or need us to design logo from a scratch, we have it covered. Strategic Planning: Our graphic design team sits with the client to learn about its corporate values, branding requirements, target audience and competitive environment. Concept development: We brainstorm and come up with a number of design concepts. Initial logo design: The client selects the most suitable of the concepts and we work further on it. Reworking and Refining: We refine the logo until the client is satisfied. Logo production: The finalized logo is created in diverse file formats to be used on different mediums. Your business depends on your logo. Make sure it is a good one by hiring the logo design services of iLocal, Inc. Call (206) 790-1999 now!